It took some more stand and stare time but I figured out how to quilt it. 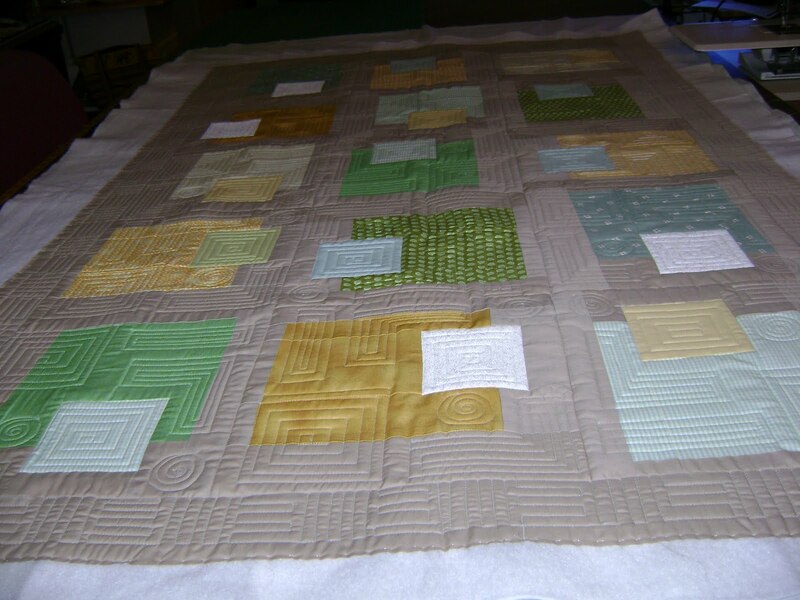 Now that it’s done, I like the quilting even more. 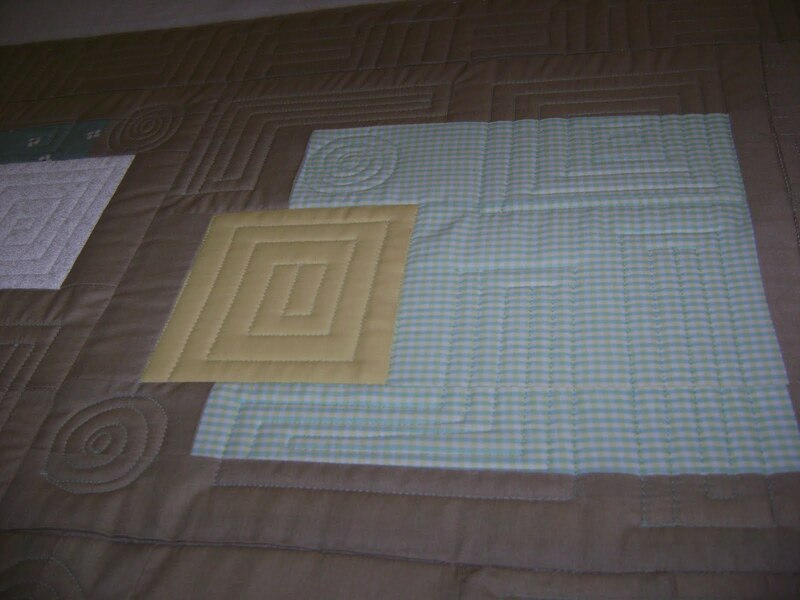 The overall look of the piecing is like floating squares so I did more floating squares with the quilting. Just to make it more interesting I added some angles too. Every now and then I added a circle for more interest and to break up the monotony of all angles. On the border I did alternating lines to give the impression of squares. 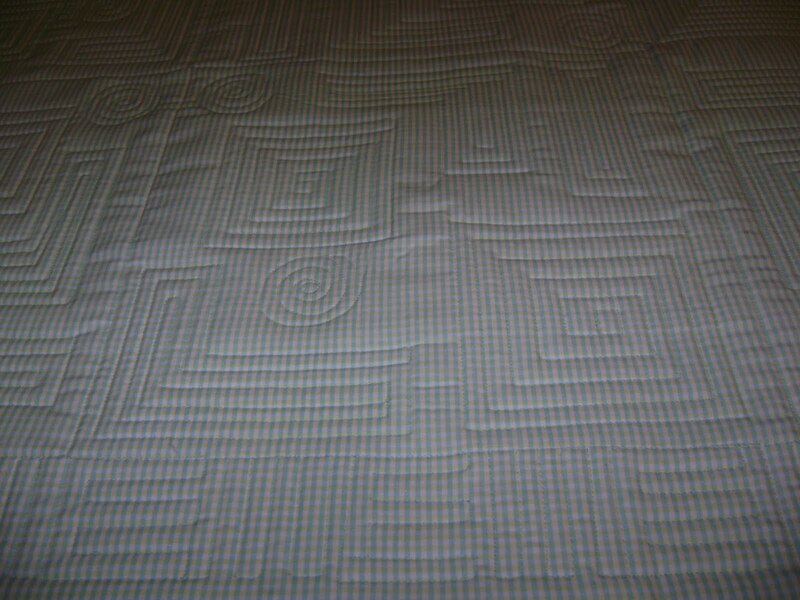 Here’s a view from the back to show the look of the quilting. What do you think? Does it work? I see the friends are back on all the blogs. At first I thought I had done something to make everyone disappear from my blog. Then I noticed the friends were gone on all the blogs I visit. I figured it had to be something blogger was doing so I stopped trying to fix it. Before you quilted it, I was having trouble with the top, it seemed pretty disconnected. But now it flows as groups of floating squares. The circles add interest, too. 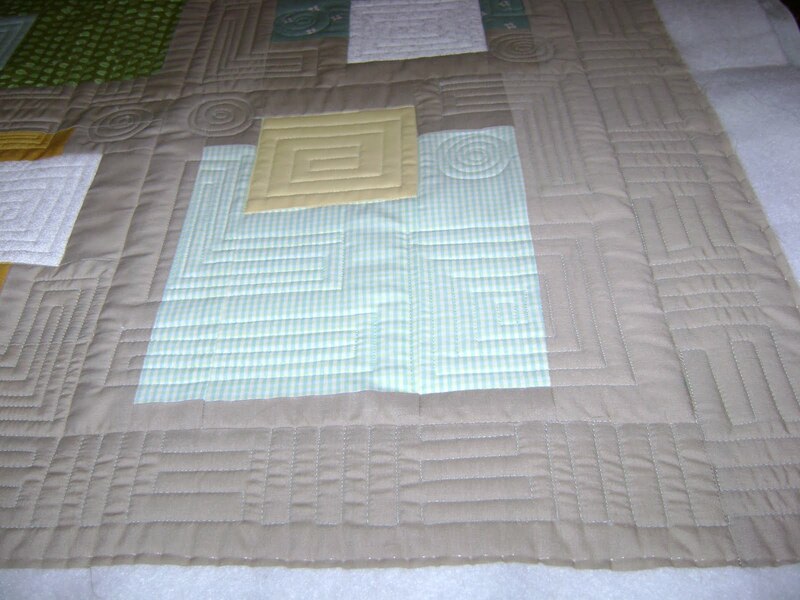 This is a good example of the difference the right quilting can make in the overall design. The quilting definately works! It looks great. LOVE the quilting on that quilt. REALLY nice. perfect for the quilt. LIKE it a LOT. 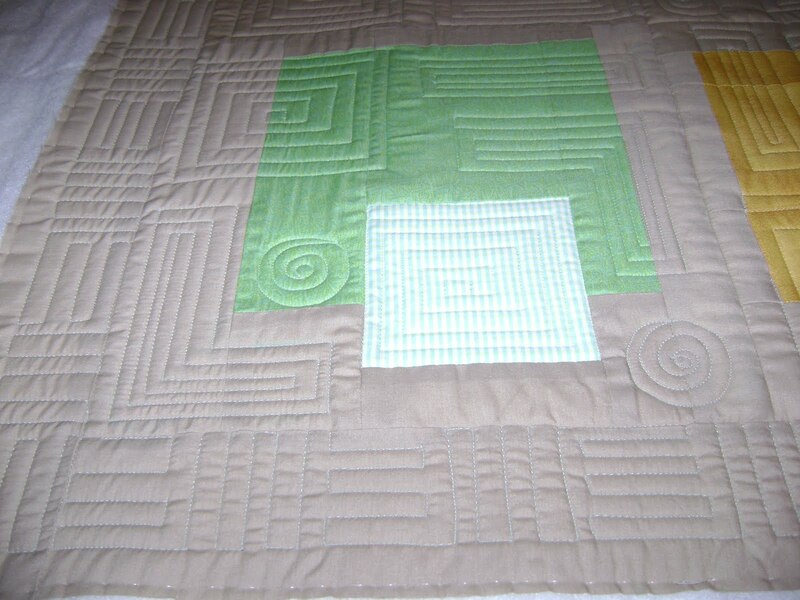 This entry was posted on September 24, 2009 by Anita in Customer quilts 2009, QUILTS - CUSTOMER and tagged Custom machine quilting, Custom quilting, Customer quilts, Longarm quilting, Machine quilting, Professional machine quilting, Quilter for hire.